Western Suburbs proved a difficult opponent for Redlands across a big weekend of cricket. Only the Tigers ladies, fifth grade and sixth grade two sides registered victories. The ladies travelled to University looking to bounce back from a crushing defeat a week prior and duly delivered. Winning the toss and electing to field, the Tigers dismissed UQ for a paltry 54 inside 24 overs. Clodagh Ryall was the pick of the Tigers bowlers, claiming 4/6 from five overs, and was ably assisted by Nadeeka De Silva (3/11) and Hannah McLaughlin (2/12). Redlands took no time in chasing down the runs required for victory thereafter, as they passed the opposition’s total in the 6th over of the innings. Delyse Laycock (23*) and Jesica Pang (13*) were the chief destroyers with the bat for the Tigers. Fifth grade won a thriller against Toombul at home on Ron Field Oval. The Tigers dismissed the opposition in the final over of play to claim back-to-back one-day victories. The win was set up by the Tigers’ middle order who brought the side back from the brink. Tom Gittings and James Catlow-Elliott controlled the middle overs well with duel thirties after the loss of early wickets. Ethan Raymond (20) then saw the side through to 147 with a late order cameo as the Tigers were bundled out in the 33rd over. The bowlers ensured the mid-innings recovery didn’t go in vein, dismissing the opposition with just 7 runs required for victory. Zach Addison (3/25), Matt Short (3/26) and Alex Ward (2/20) were the pick of the Tigers bowlers. Sixth grade two continued their winning run with a dominant performance against the University of Queensland. Three wicket hauls for Jake Richards and Harry Short, along with an impressive bowling display from Shane Beu (2/14), saw the Tigers dismiss the visitors for 124. Harry Short (45*) and Damyn Waddups (46*) then saw the Tigers through to victory with 15 overs to spare. Elsewhere, results were not as favorable. First grade battled hard away from home against Western Suburbs, but were unable to chase down the 338 runs required for first innings points. The first five Tigers wickets fell in quick succession with only Sam Howse (81) and James Bazley (25) providing any resistance throughout Redlands’ batting innings. With the ball a day earlier it was Charles Mailli (3/48) who claimed the spoils. Second grade drew with the same opposition in a high scoring game on Peter Burge Oval. A classy hundred from Nick Hurford set the foundations for a fantastic Tigers batting innings that saw Josh Guy (88), Jamie Ryan (72*) and Craig Weier (49*) pile on the runs. Set a mammoth 395 for victory, Western Suburbs lost their first three wickets for 70. But that was as good as it got for the Tigers as the opposition hung on for a draw. Ben Long was the pick of the bowlers with 2/49. Third grade went down to Western Suburbs after being dismissed for 94 in reply to the opposition’s 219. Dylan Kritzinger (2/32) and Jack Sinfield (2/54) were the pick of the Tigers bowlers, while with the bat it was Bailey Lavender (17) who top scored. Fourth grade’s clash with the same opposition followed a similar pattern. They too were unable to chase down the opposition’s total of 177 despite a number of impressive starts from the Tigers batsmen and another fine bowling display. Pearce Anderson, Lincoln Rosiak and Jordan Crick each claimed two wickets. Anderson was also the stand out with the bat, and if it wasn’t for his counter attacking innings of 28, the Tigers may not have posted their eventual total of 138. Sixth grade one fell agonisingly short of victory against Western Suburbs away from home. 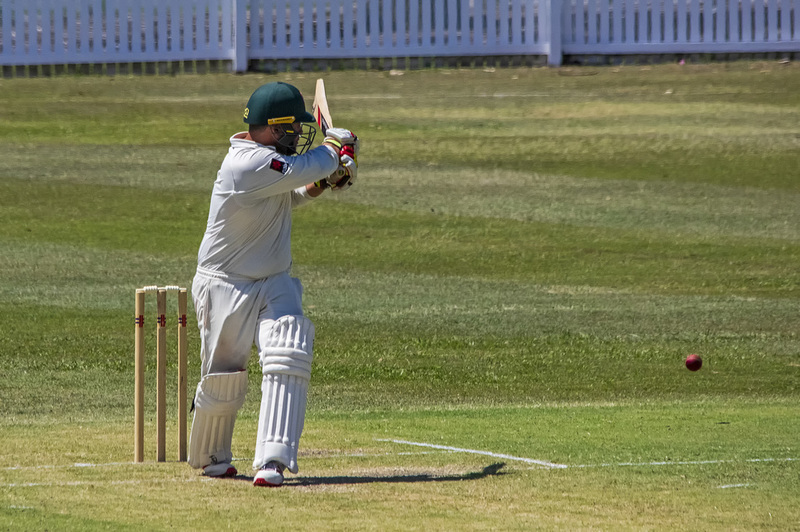 After dismissing the opposition for a meager 140 through the bowling of Sean Lloyd (4/28) and Keshavkeerthi Chandrasekaran (3/12), the Tigers were looking the goods to bring home another one-day victory. A strong start with the bat sent them down the path to victory, but when Will Read was dismissed for 41, the Tigers’ innings quickly fell away. Some late order cameos got Redlands back into the contest but it wasn’t enough, the final wicket falling with 21 runs still required for victory. The Redlands Lord’s Taverners Side went down for the first time this season despite a brave effort with the bat following the loss of early wickets. After being sent into bowl first, the Tigers’ quicks restricted Gold Coast to 189 from their 50 overs. Dale D’souza (3/33) and Josh Smith (2/21) starred with the ball and were ably supported by the remainder of the bowling cartel, all of whom produced economical spells to keep the Tigers in the game. Unfortunately, the batting didn’t follow suit. At 6/64, the Tigers’ innings looked shot, but Luke Davies (31) followed on from Stephan Muller’s patient innings of 29 up the top of the order to put his side back in contention. Cameos from Brayden Laffan (21) and Zac Maguire (17*) gave their side hopes of claiming an unlikely victory, but the top order collapse proved telling as they were dismissed for 149. The Tigers return next weekend for rivalry round where they will take on rivals Wynnum-Manly.